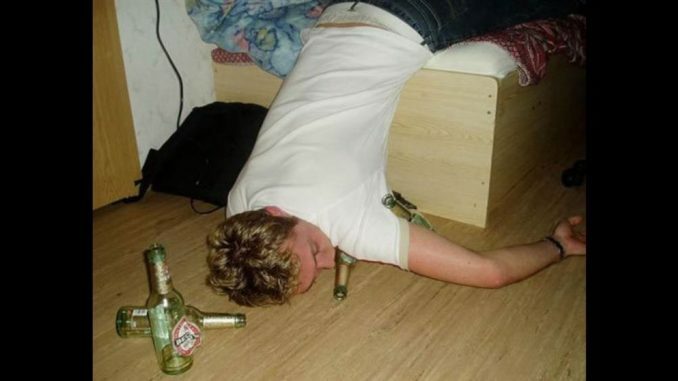 A local man who woke up on his sitting room floor this morning with his tongue stuck to the roof of his mouth has said yesterday was the best St. Patrick’s day of his life. Brian Dempsey from Tullamore said everything after 6 o’clock is a blur but going by the ferocious hangover he has it must’ve been a hoor of a session. Brian went to his local parade and then straight to the pub as he does every year. He told us he can’t understand Irish people who don’t spend St. Patrick’s day in the pub. Brian said he hopes to go one better next year and end up in hospital in a coma.